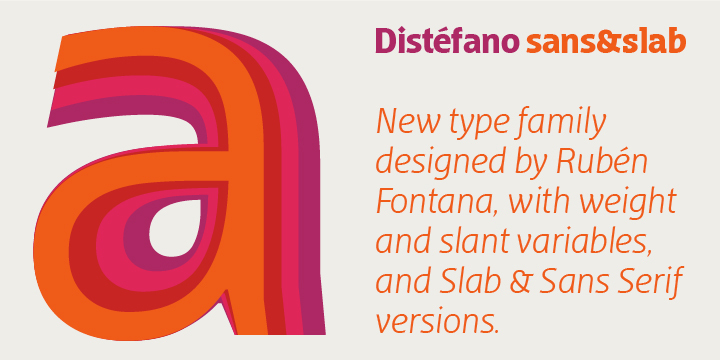 Distefano Sans is a typeface created by Ruben Fontana and published by Tipo. This font is especialy created for editorial products, print and digital media. You must have it! A font description published on Friday, November 9th, 2012 in Fonts, Tipo by Alexandra that has 4,187 views.